DIAL: Black and red racing dial dial with small registers, tritium hour markers. CONDITION REPORT: The dial and hands are in good condition. Some small marks in the center of the register at 3 o'clock. The case is unpolished as well as the bracelet. The bracelet is full with all its links. 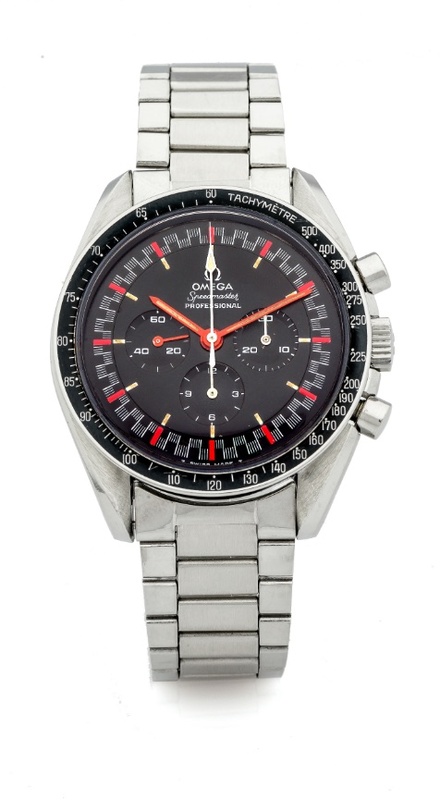 Notes: According to the Omega Museum the present watch was manufactured in 1968 and delivered to Switzerland.